I posted a photo earlier of the Full Throttle Saloon's muffler man statue, but I have yet to venture into the saloon during the height of Sturgis Rally activities. Wandering in a week after the rally had faded away still provided a surprising amount of photographic inspiration. 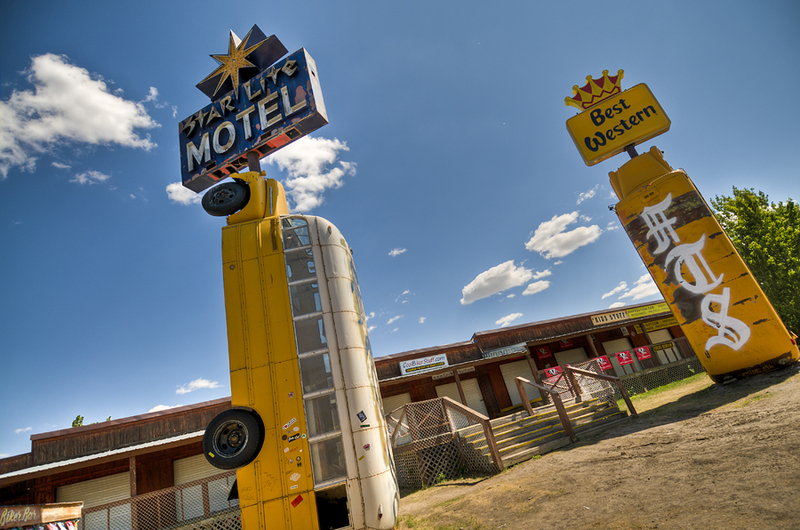 Fans of nostalgic roadside attractions and HDR photography will love this place! 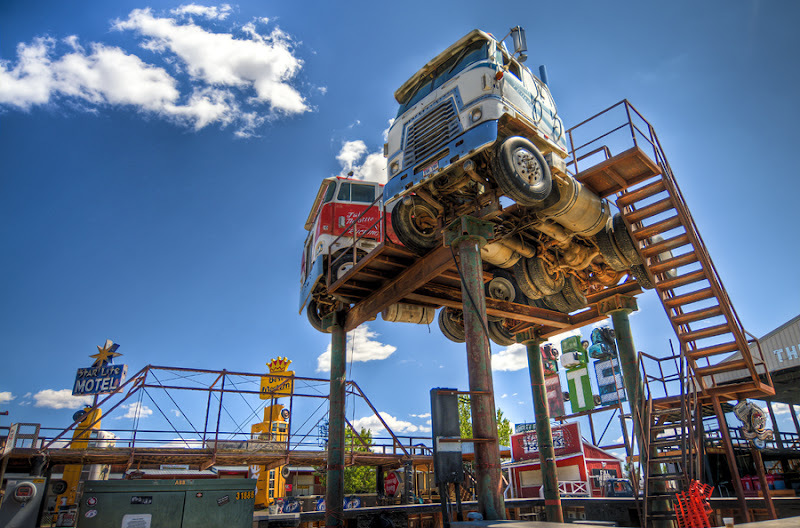 Rusty trucks and motorcycles, school buses standing on end, semi trucks perched on gigantic poles and the like are scattered throughout the facility. 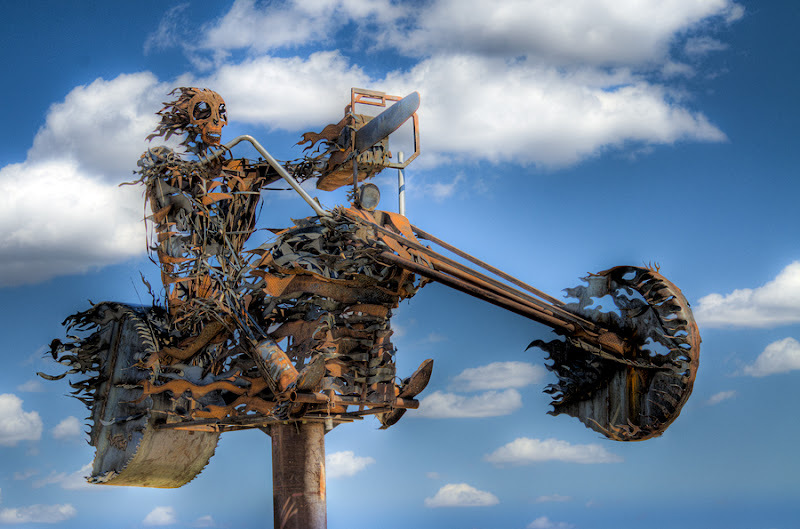 A gigantic sculpture of a motorcycle-riding skeleton wielding a chainsaw out front was a new addition this year. I barely scratched the surface with the photography that could be done here. I'll be back! You can find the Full Throttle just east of Sturgis on Highway 34. Check out their website for more info. 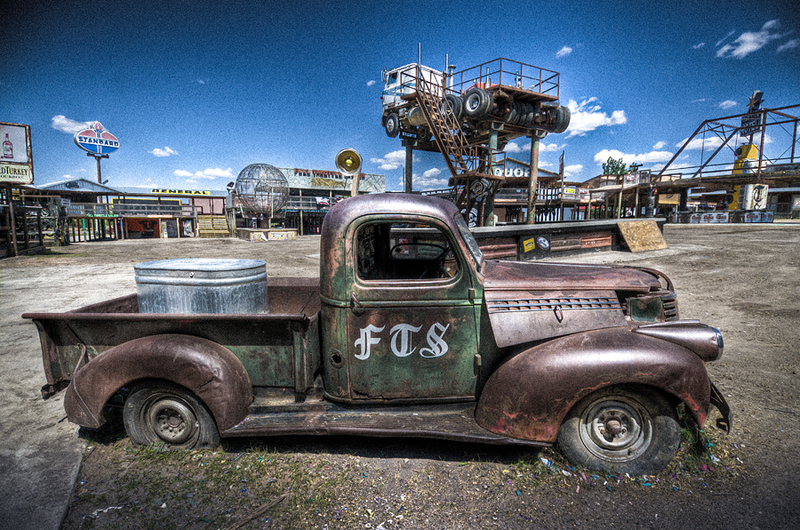 Stopped by the full throttle saloon during mid June on our way to Rapid City. The skeleton biker out front is the coolest sculpture I've ever seen. Emit (donkey) greeted us in the parking lot, probably looking for some food. When we didn't feed him he got mad and tried to bite my daughter.